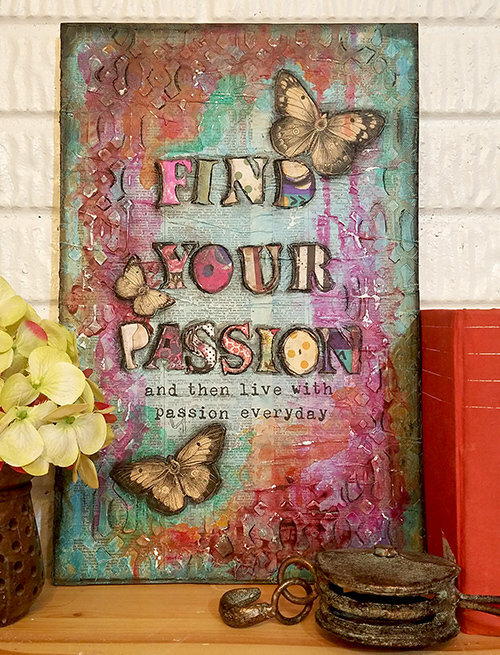 Finding our passion is almost as hard as living it everyday. There are seasons in our lives that our passions are strong and other seasons where we seem to be drifting. That's ok... Life requires, at different times all of our attention and we have to set aside somethings to focus on something else... but never let that kernel of hope and passion die. Protect it so that when the weather is better and the season is right you passions can bloom fully. Then live boldly, loudly and courageously in your passion and never give up! If your searching for direction.... listen to your story, your childhood, what excited you back then will most likely delight you today... It might be slightly different but I guarantee that if you follow the trail from childhood back to adulthood... you will find some answers.